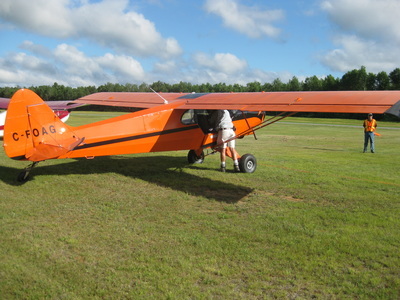 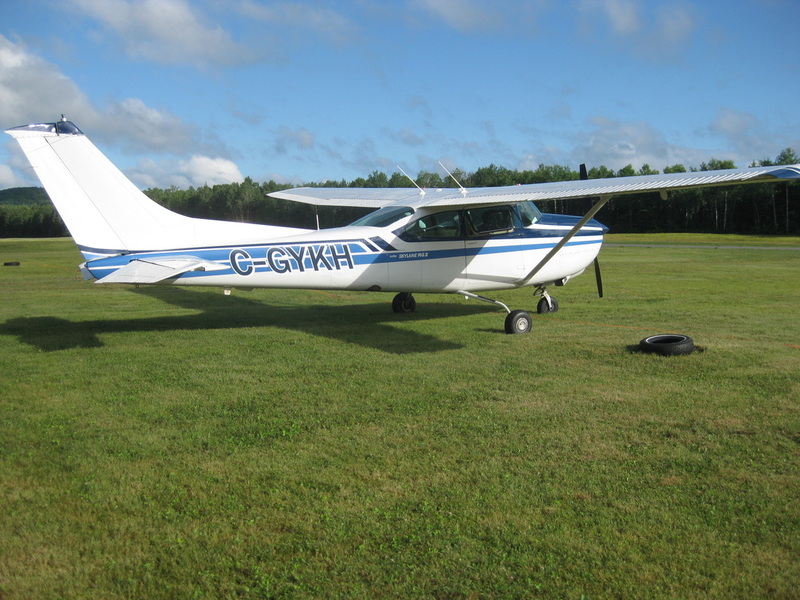 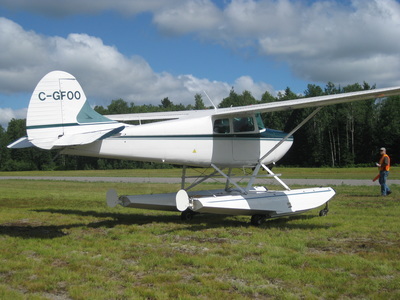 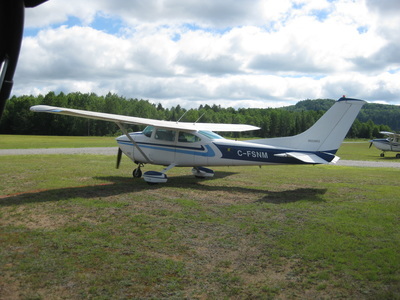 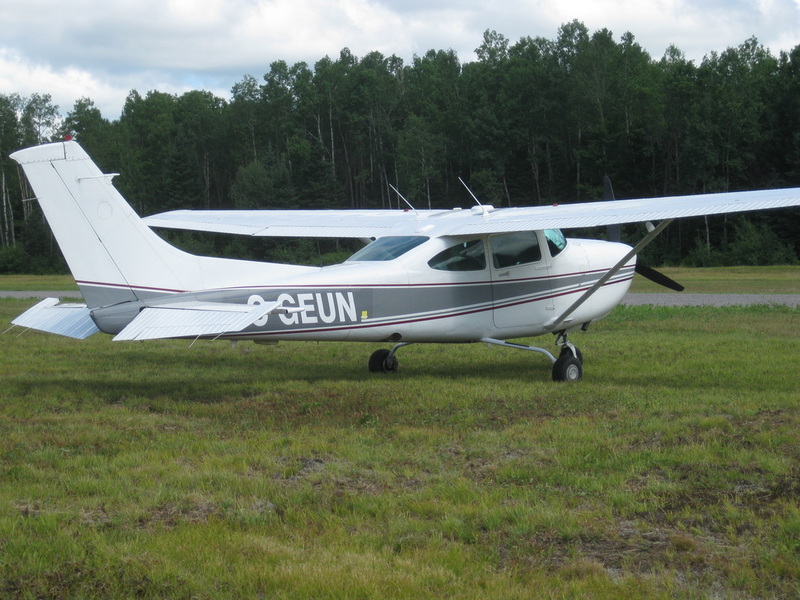 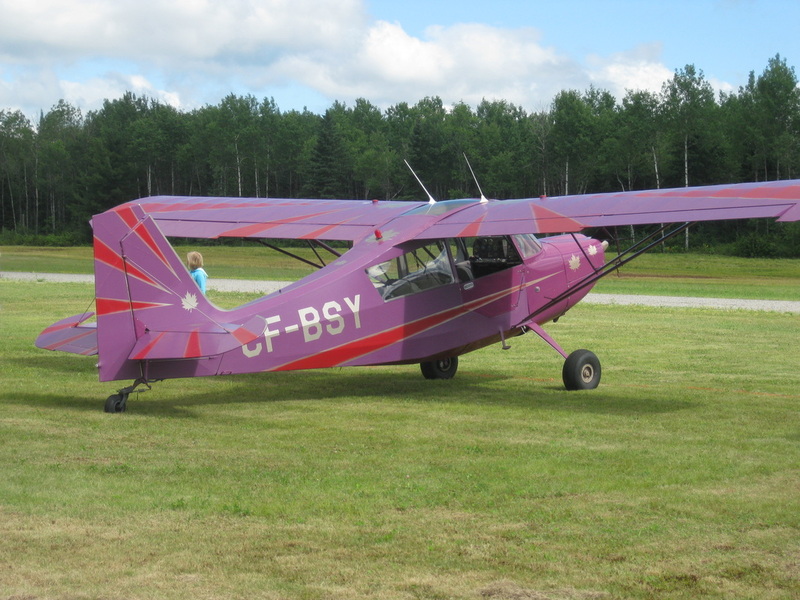 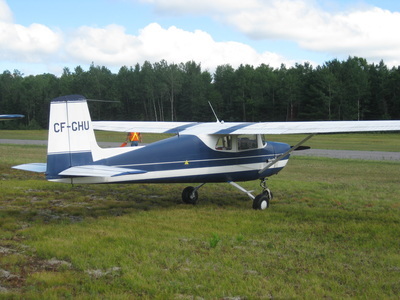 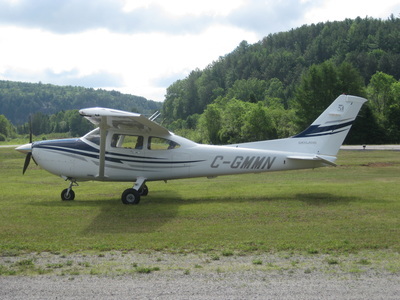 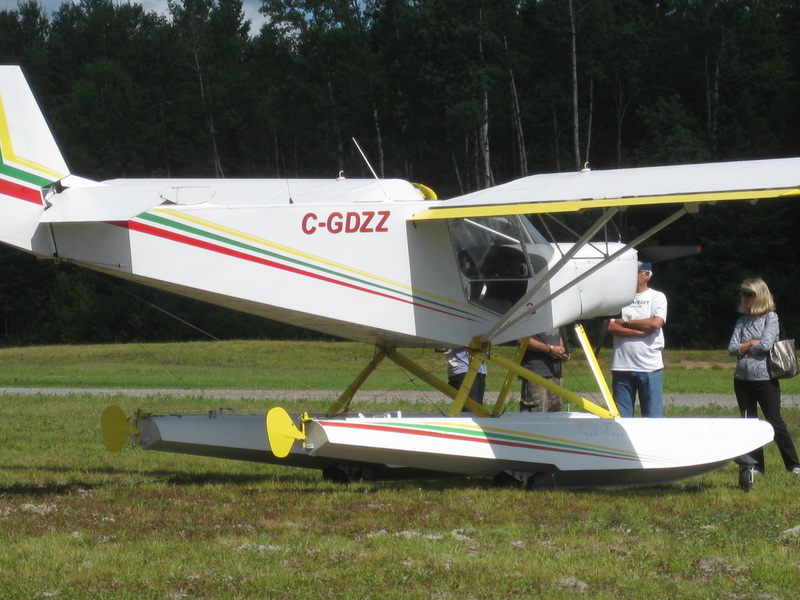 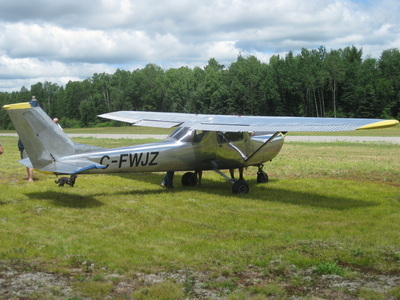 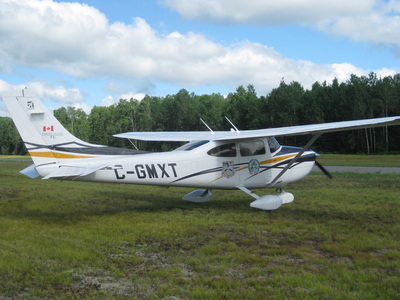 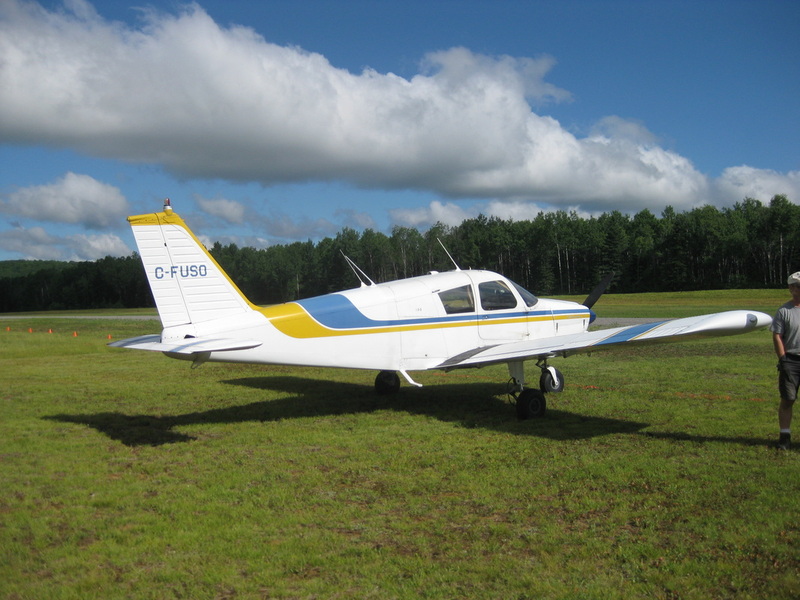 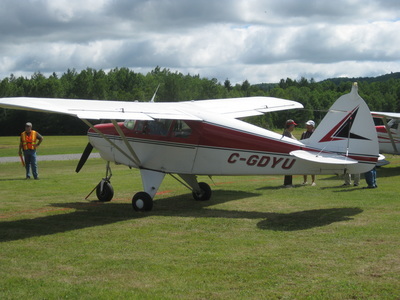 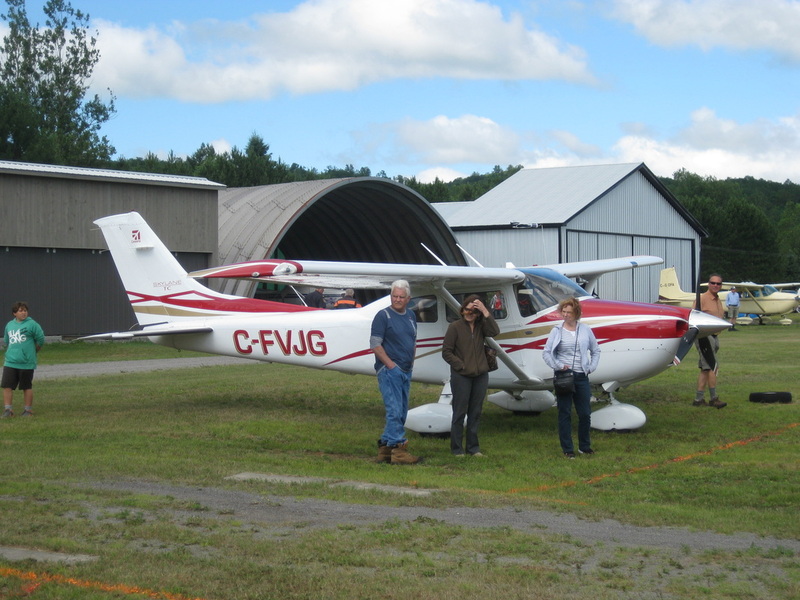 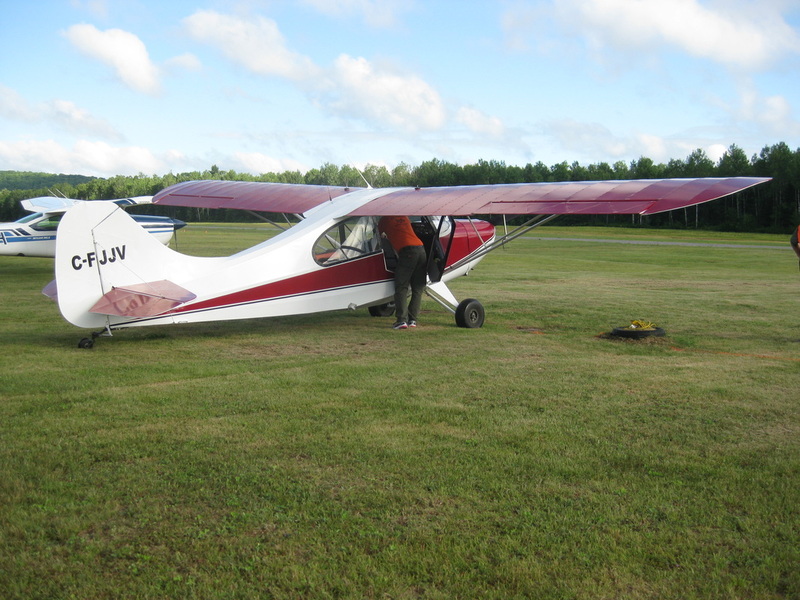 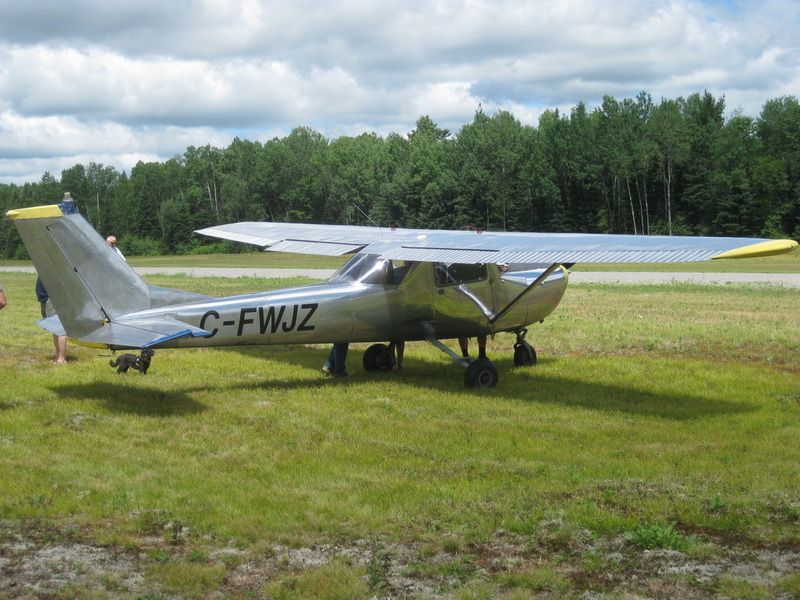 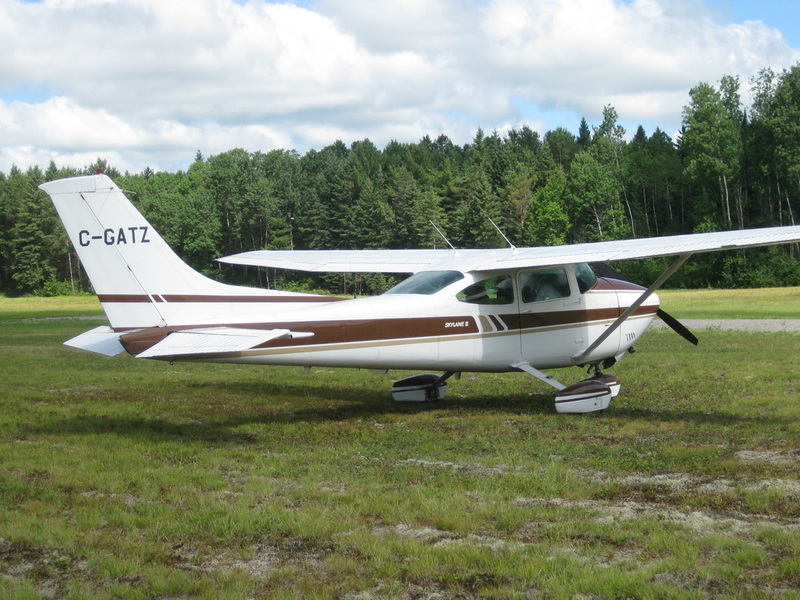 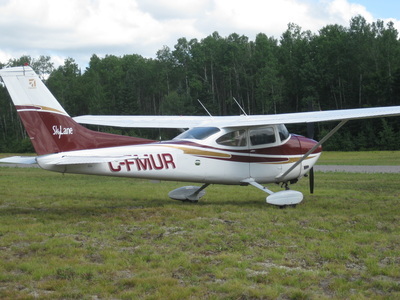 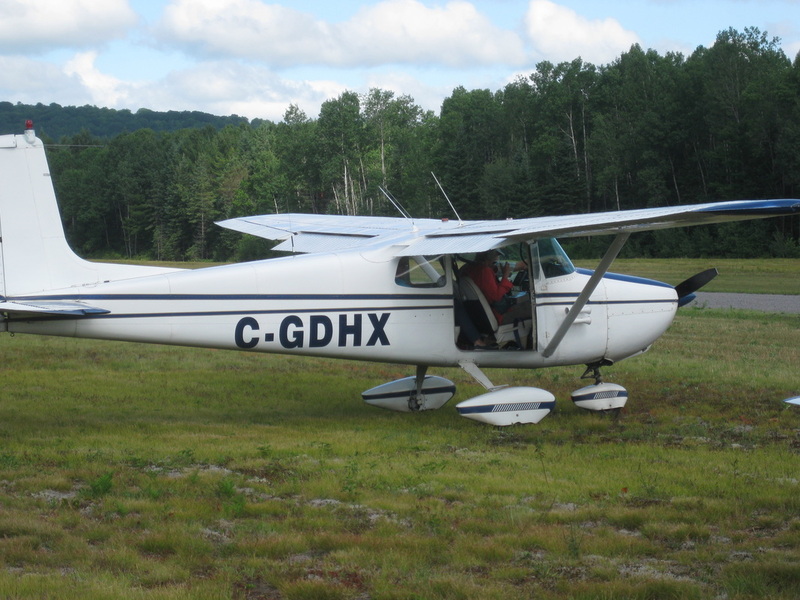 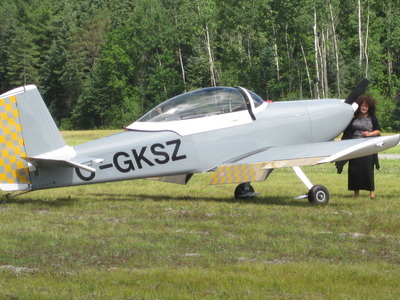 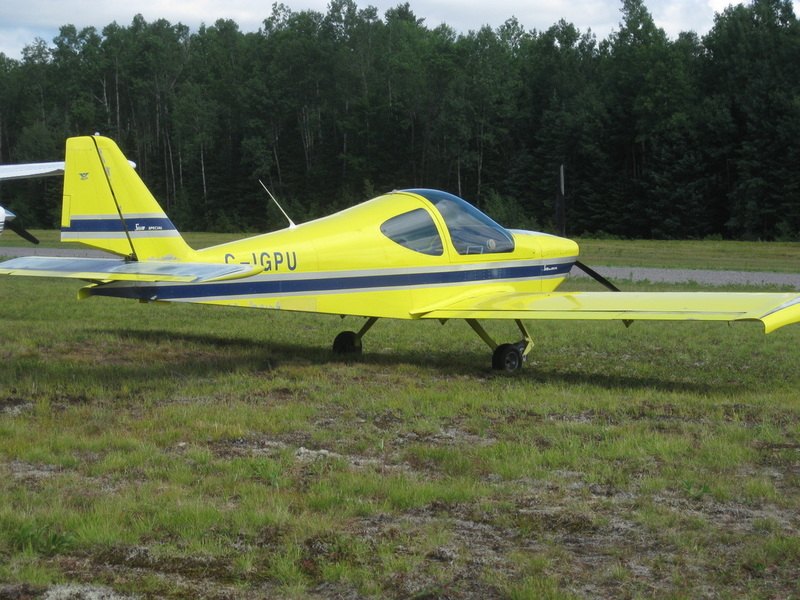 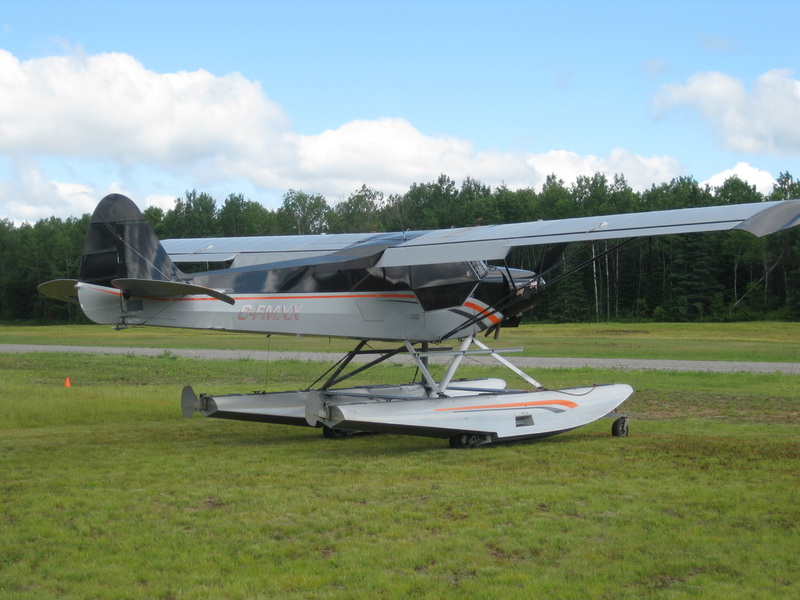 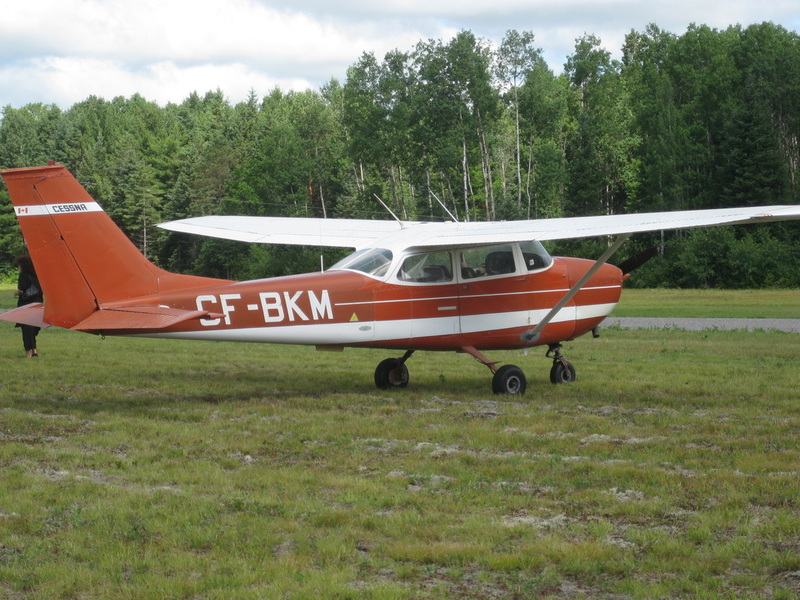 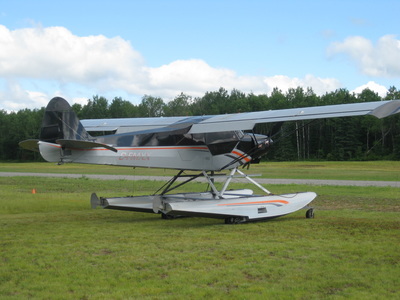 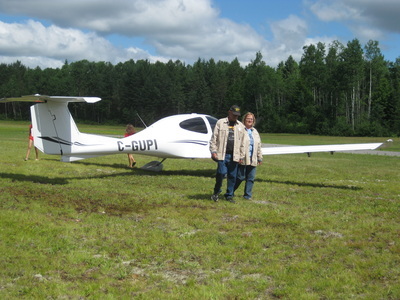 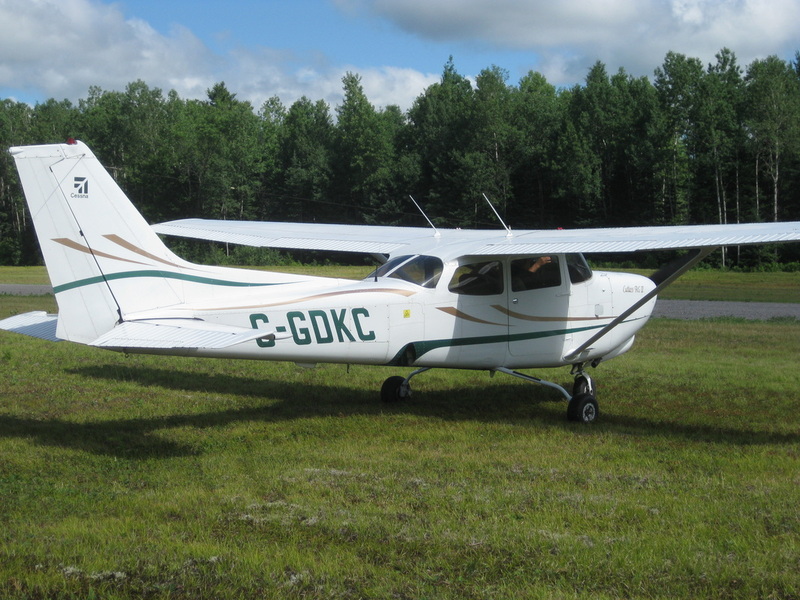 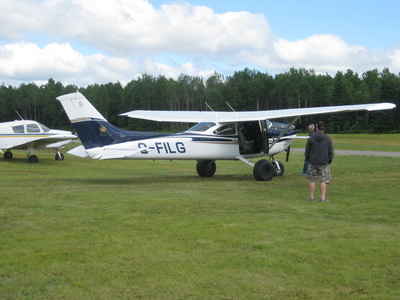 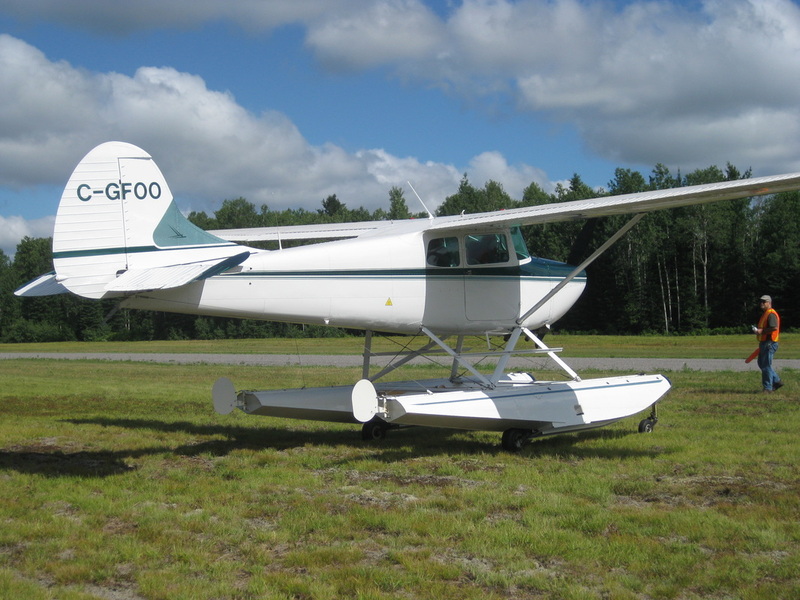 The Bancroft Flying Club held it's annual Fly In Pancake Breakfast at the Bancroft Community Airport on Sunday, July 10th. We had 31 aircraft fly in with 10 of them return visitors from last years event. 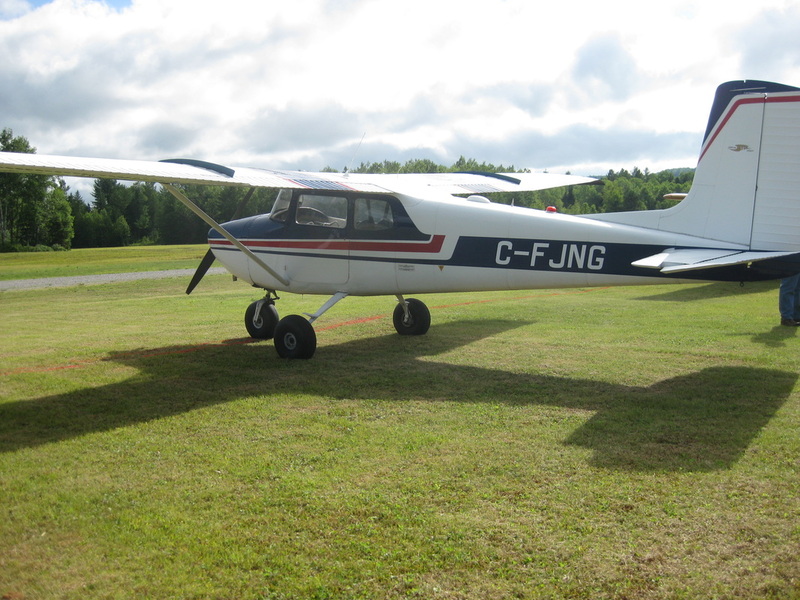 We served 475 pancake breakfasts with sausage and real maple syrup. 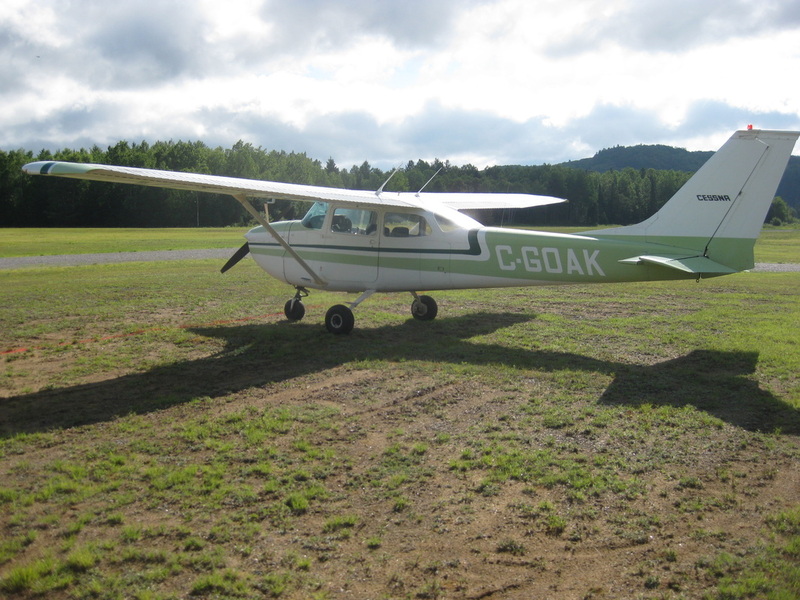 The low cloud in the morning was a carry over from the rainfall the day before and probably was a factor in keeping some aircraft away; however, with a good stiff breeze from the north, the cloud cover cleared quickly and we had a nice sunny day. The flow of guests for breakfast was steady throughout the morning and there was little or no waiting in line for breakfast. Club Executives and visiting dignitaries from left to right include: Mary Kavanagh, Councillor, Town of Bancroft; Bernard Gervais, President, Canadian Owners and Pilots Association (COPA); Ron Kelusky, President & CEO, Public Services Health & Safety Association; Pat Murdock, Vice President & Airport Manager, Bancroft Flying Club; Lynn Davis, President, Bancroft Flying Club; Paul Jenkins, Deputy Mayor, Town of Bancroft; Gary Gaudreau, Director / Secretary, Bancroft Flying Club. 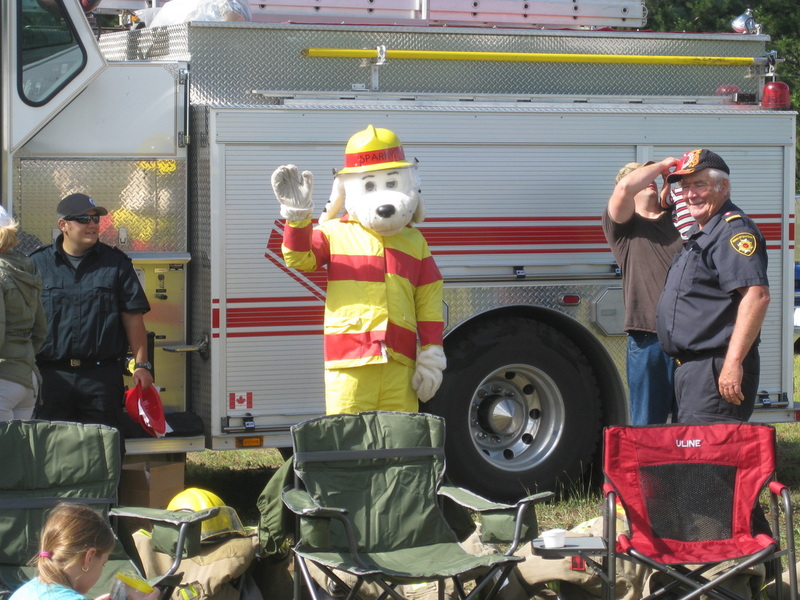 Bancroft Fire Department and their mascot Sparky. 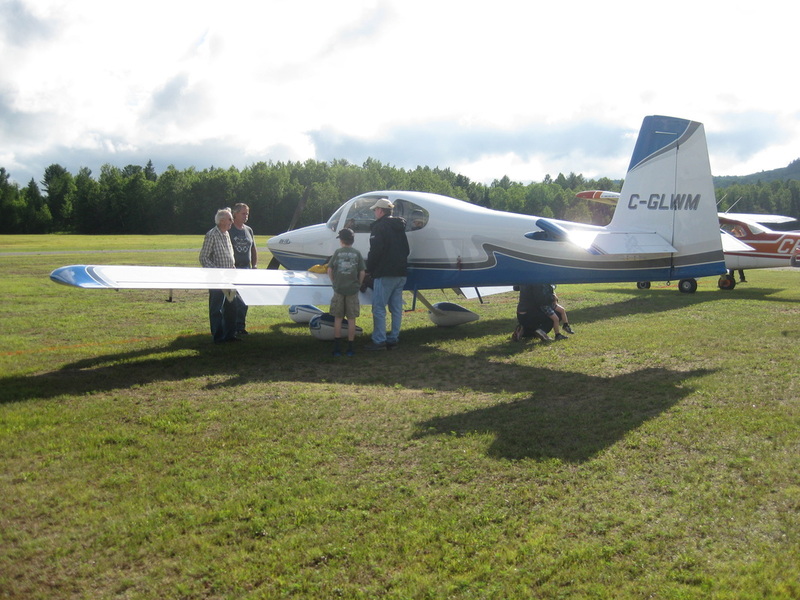 Hardworking cooks serving pancakes hot off our dual 36" electric grills. 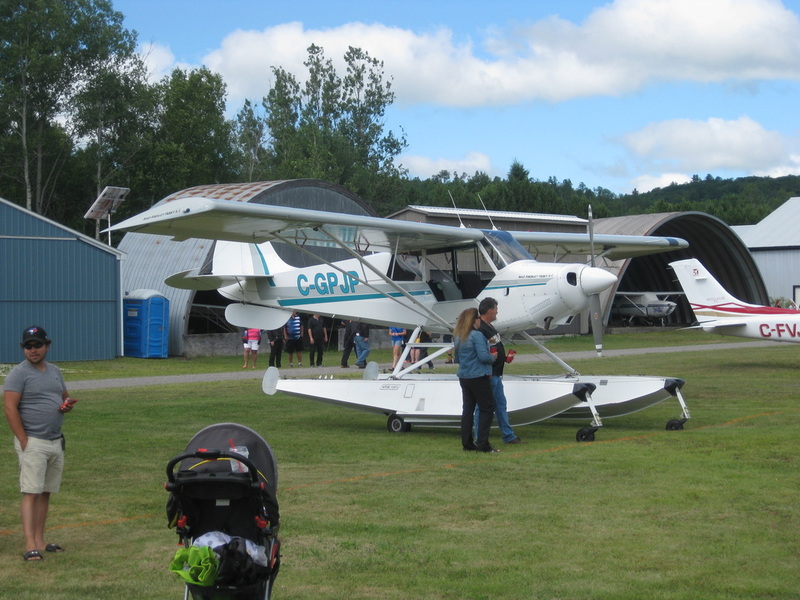 Classic and Antique automobiles are always an attraction at this event. 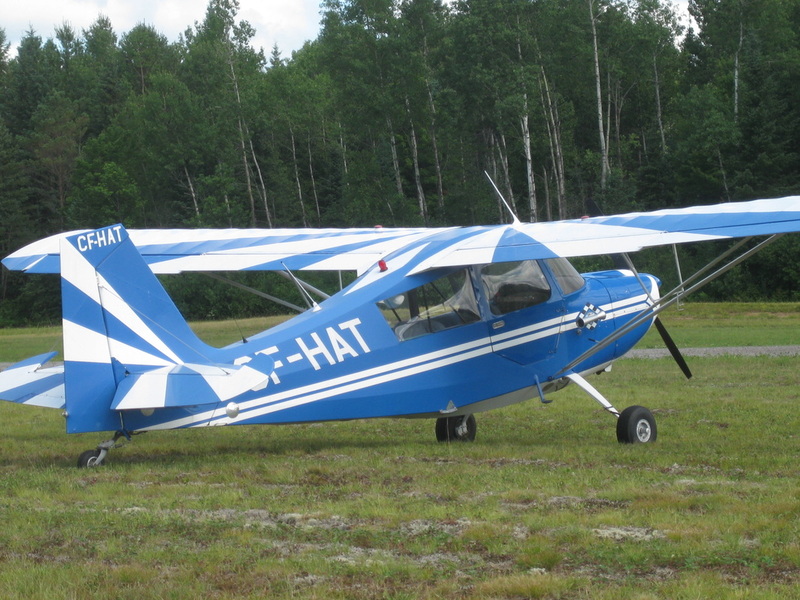 Serving up hot pancakes and sausages. 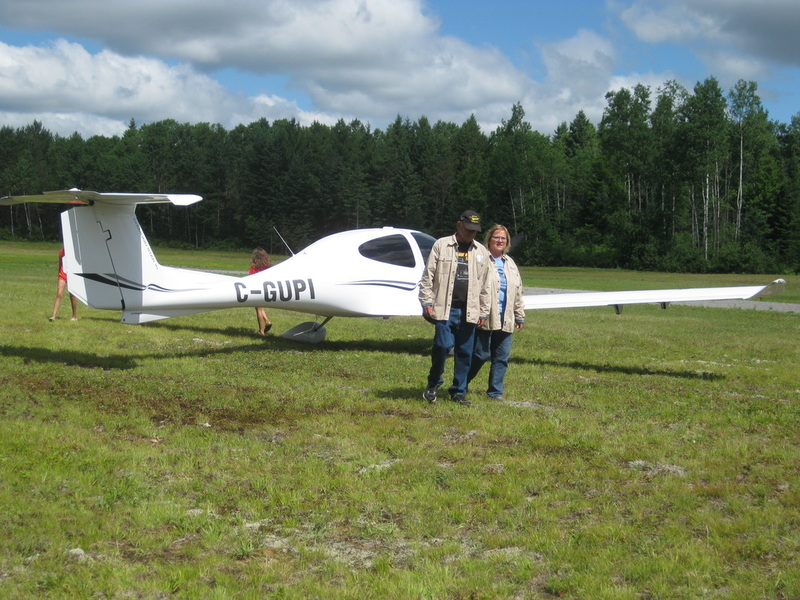 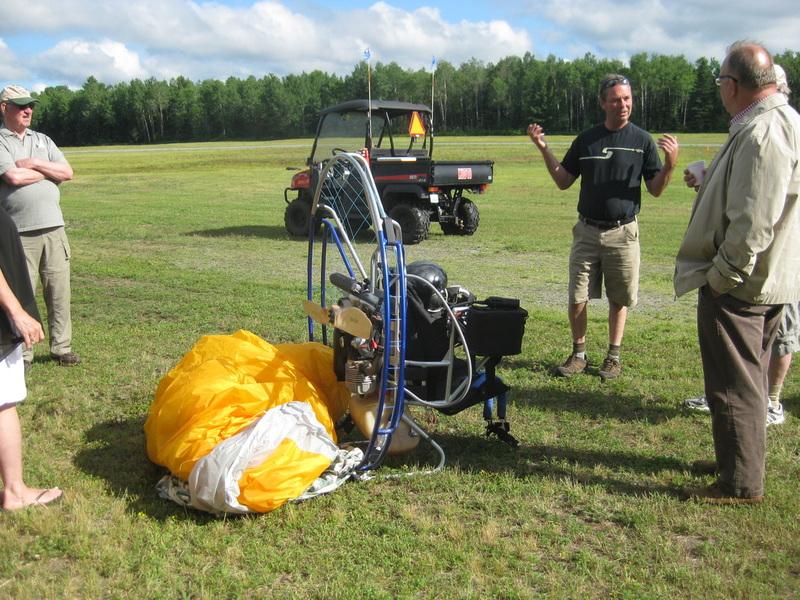 Jerry Shaw from Belleville was here again to display and talk about his Walker-Jet powered para-glider. 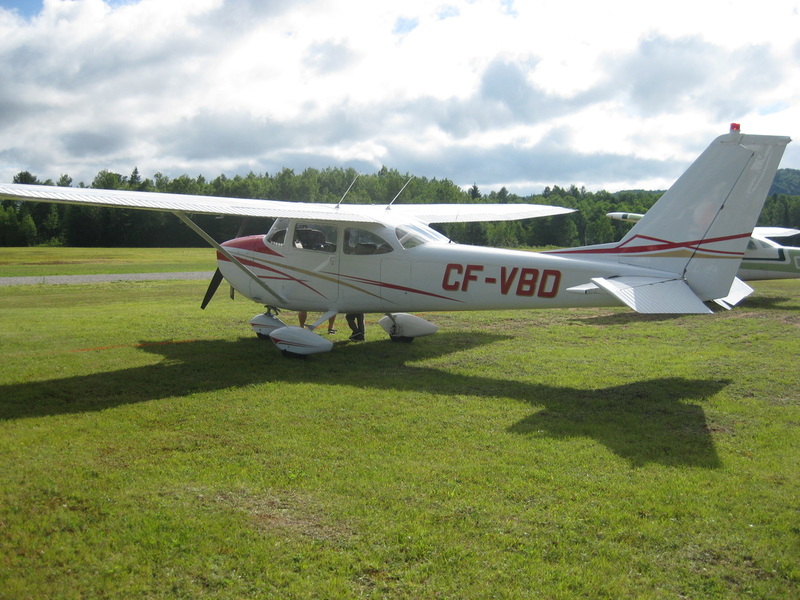 Following are photos of the 31 aircraft that flew in from parts of Ontario and beyond.